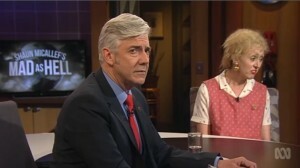 Top 11 Moments from Mad As Hell Series 5 – Shaun Micallef Online! 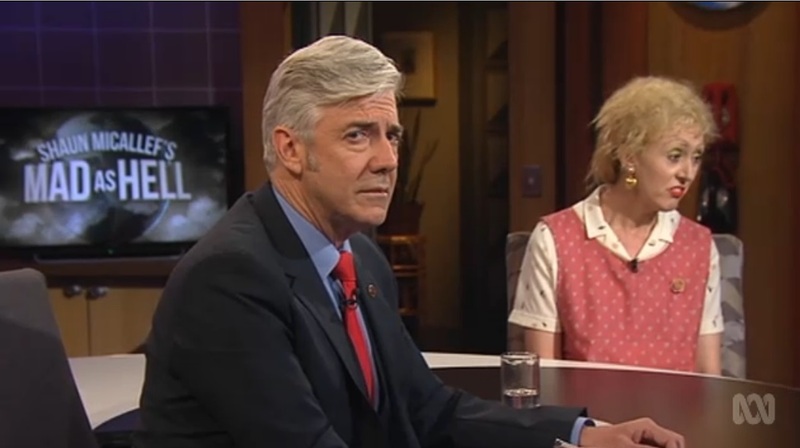 With a great repertoire of characters, an established style, and the best political satire on Australian TV, series 5 of Mad As Hell (not unexpectedly) continued the brilliance of the previous ones. And if the outpouring of grief when the series ended is any indication, most of you agree. While he first appeared last season, Grun (Francis), an adviser to various members of Palmer United Party, got another chance to share his desire to be on the telly (and not much else). 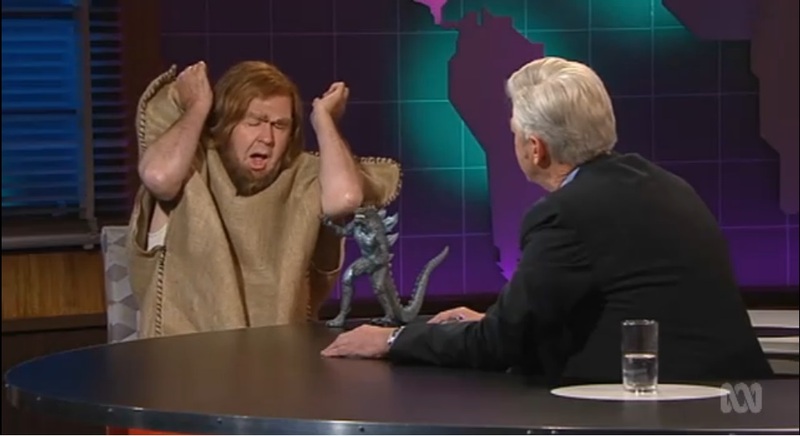 He also filled one gap of awkward silence with an old Micallef Program prop, the roaring dinosaur/alien. 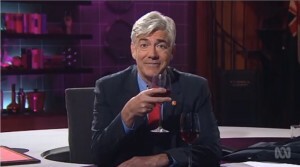 Caspar Jonquil (Tosh), longtime AM radio talkback caller, has been a character since the second season, and his monologues are often the place where the writers one liners all get thrown. 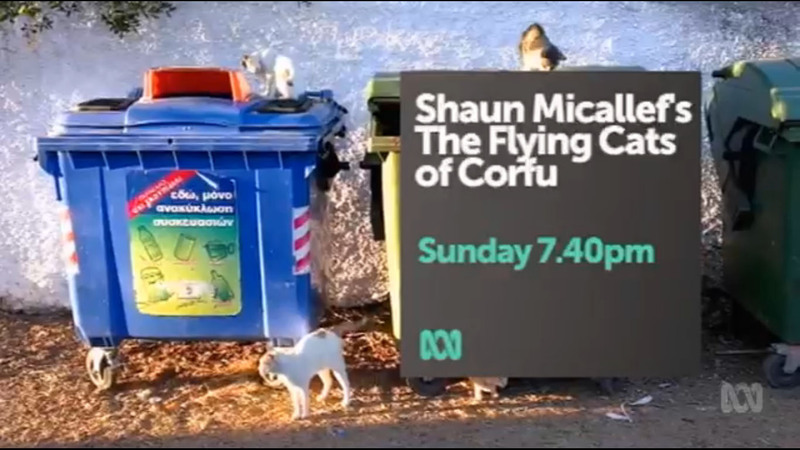 To shut Caspar up, Shaun usually has to have a piano dropped on him, but in Ep 6, Caspar managed to escape and we got a glimpse into his future – years hiding alone before a proposal from Spakfilla Vole gave him a heart attack. 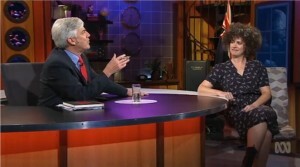 But all was not lost, and the following week (Ep 7), Caspar got his own, Bolt Report-style, show: “Right Minded”. “Democracy isn’t what these people need. Hell it isn’t even what they want. People don’t want freedom, they want boundaries, rules, protection from invaders and from themselves.” (Ep 9) – that one wasn’t even from House of Cards, it was from the Call of Duty trailer! 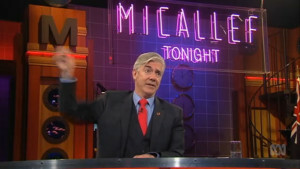 For Micallef fans, we love the subtle references to his previous much-loved works: the Tyrell Corp chair from TAYG, the Micallef Tonight sign, the odd-Milo sighting, the Micallef Program punch lines. 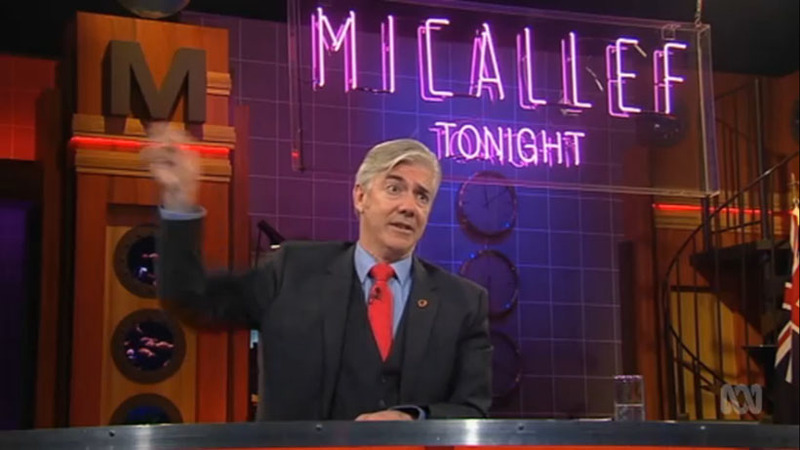 And Shaun brought back part of the High Horse segment from Micallef Tonight, to banish a number of things “Into the Bin”: Freedom Crunchola bars (Ep 1), Vanilla Ice’s sampled pool heater (Ep 3) and the cover of Joe Hockey’s tax discussion paper (Ep 10). 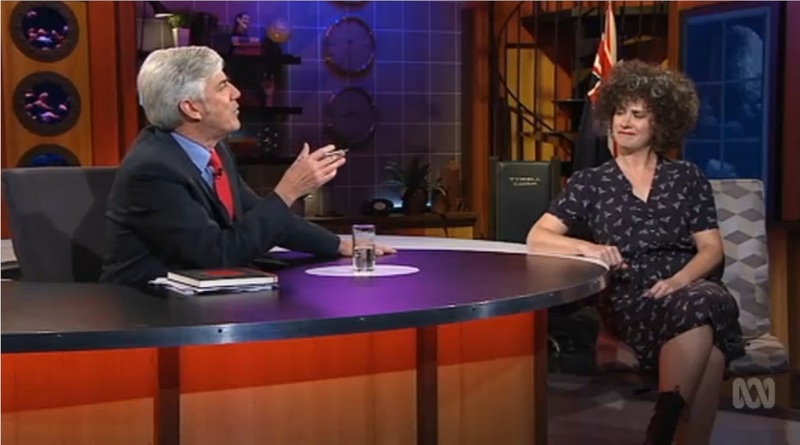 The commentator line had first been subtly peppered in Ep 2, then with Dolly Norman (Ep 3), Maggie Bathysphere (Ep 4) and Darius (Ep 7) using it as liberally as their real-life political counterparts. 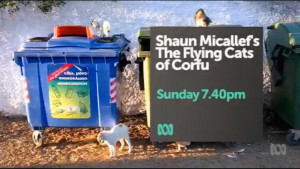 Have been searching for the clip dealing with IS which aired AFTER the ‘Giant baby’ credits etc. Think it was episode 7; 8 or maybe 9 in series 5. Can you assist ?